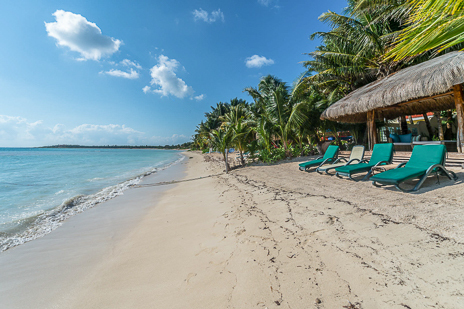 You can walk for miles along the beach! 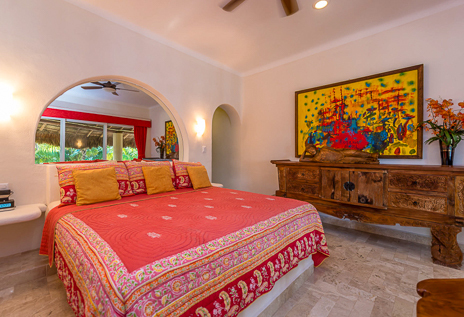 BR #1: Second level, king bed, oceanfront, terrace, private bath. 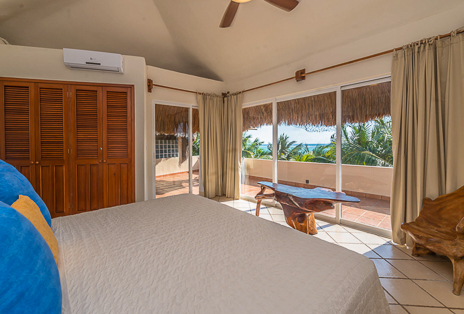 BR #2: Second level, king bed, oceanfront, terrace, private bath. 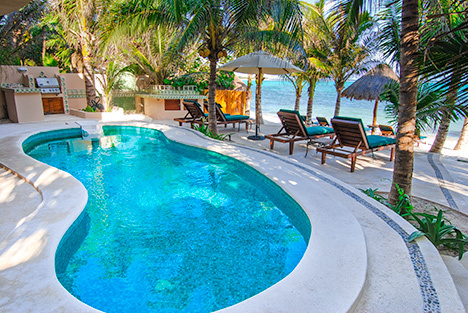 Minimum of 7 nights for holidays and winter; 5 nights in summer and fall. 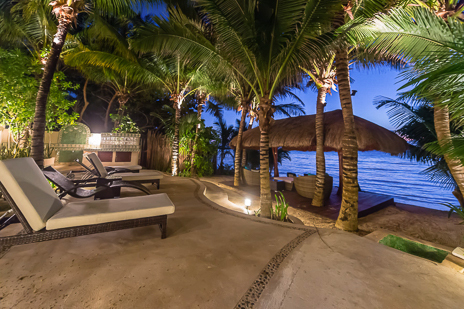 No outside guests allowed. 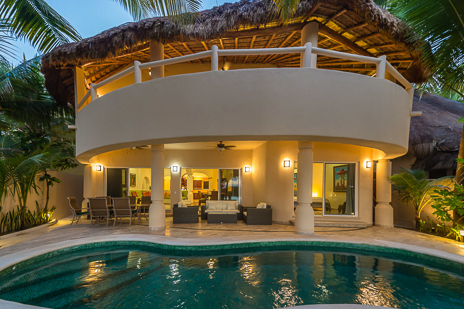 Set your vacation villa expectations high and reach for the Moon. 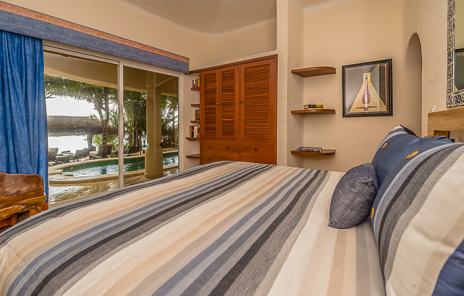 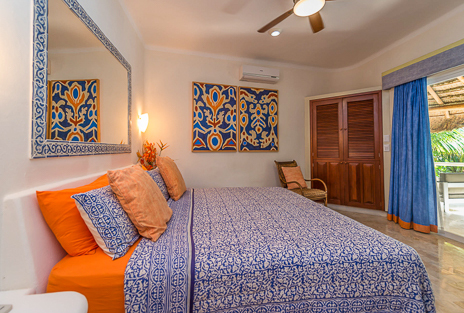 Villa Moon Star, completed in 2003, is everything you could possibly ask for in beachfront villa with all details considered: Hair dryers in each bathroom, sea kayaks, indoor and outdoor kitchens and stylish furnishings throughout. 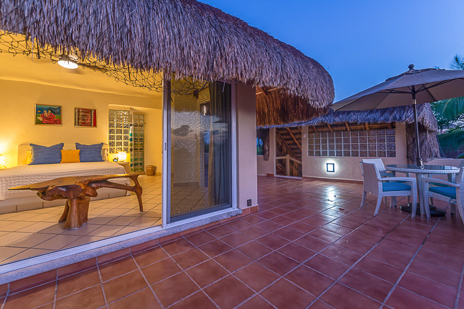 Moon Star is ever changing in order to offer updates and improvements. 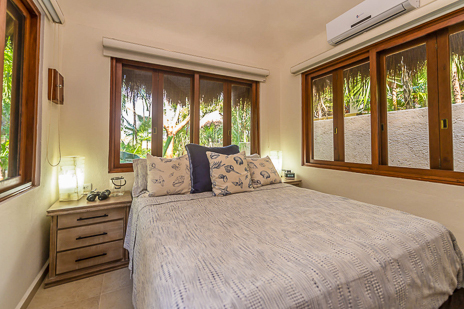 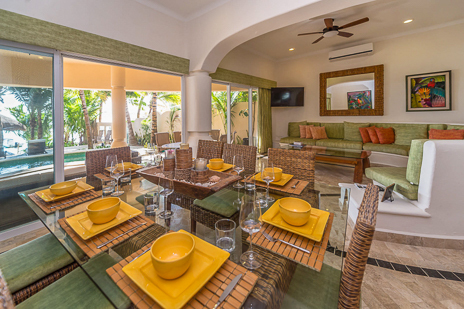 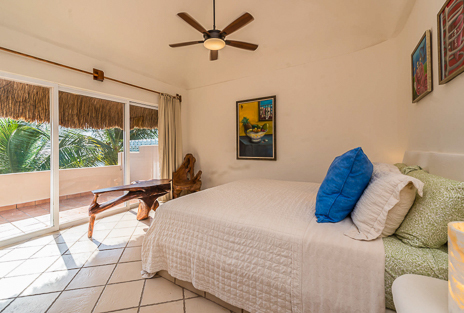 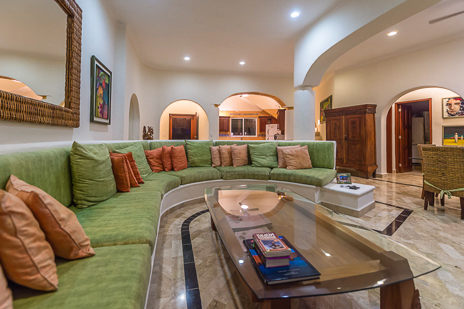 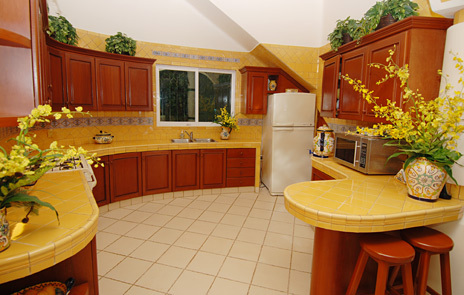 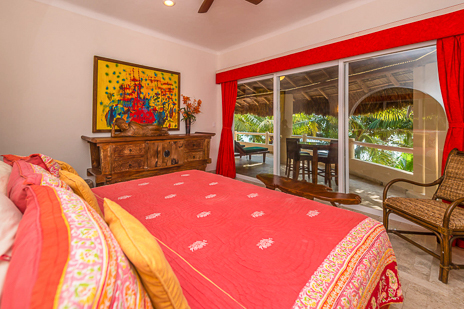 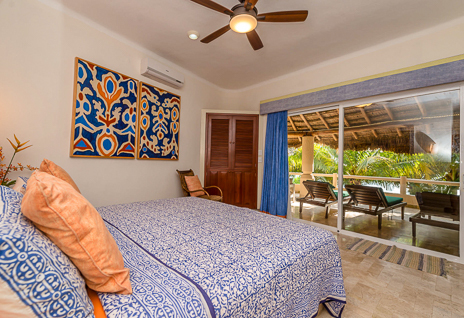 Recently a casita was added so Villa Moon Star is now a 5 BR villa. 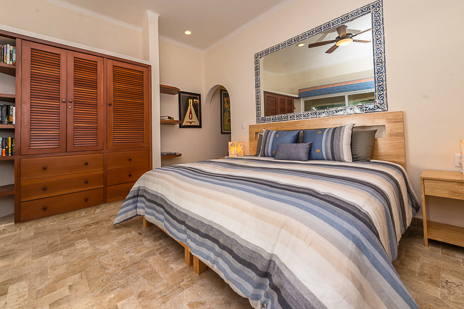 Completed just in time for the 2017 high season, the new casita has a king bed and private bath. 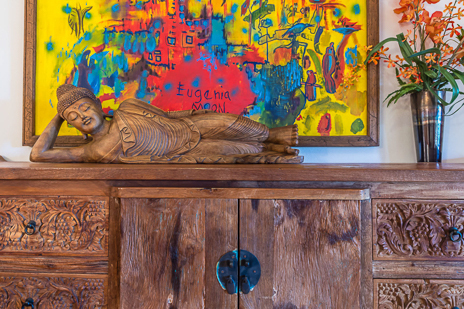 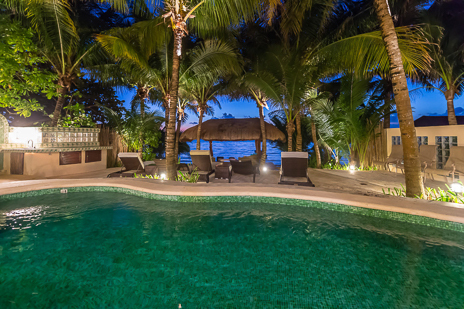 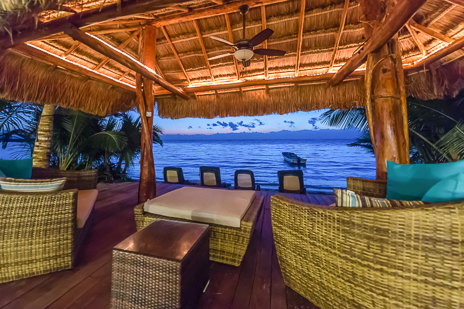 Villa Moon Star is a shining example of beachfront living at its best. 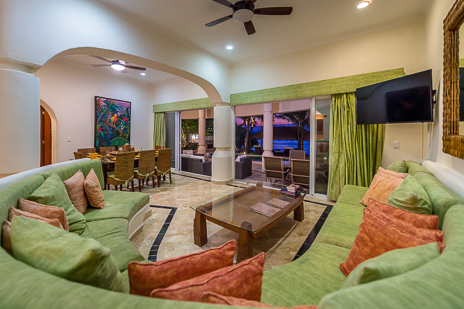 Settle in and enjoy your tropical vacation in the finest style. 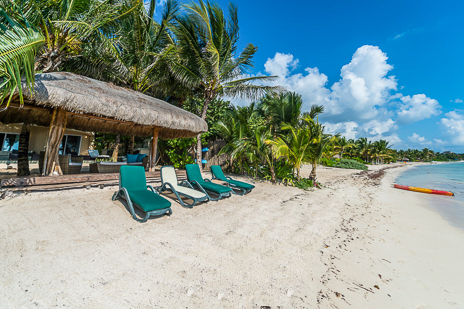 But don't get too comfortable, because you'll want to exlore the magical Maya Riviera. 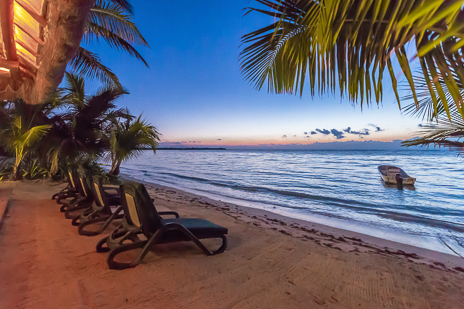 Within an easy drive are many major highlights you should visit during your stay, including Tulum, Coba, Xel-Ha, Xcaret and Dos Ojos. 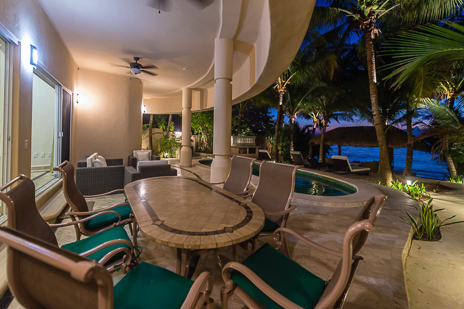 Poolside patio area isa perfect spot for evening drinks, morning coffee . . . . 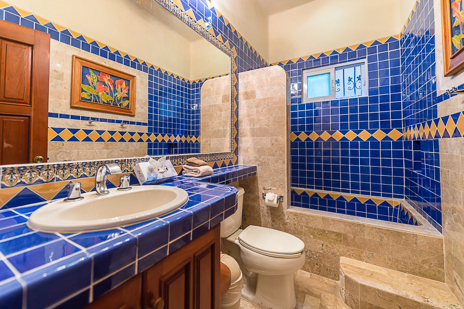 Moon Star has 5.5 beautifully tiled baths like this one!